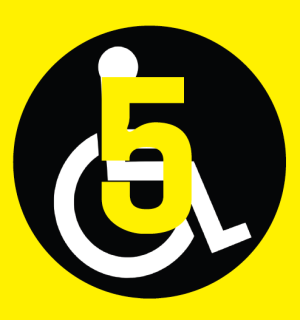 IN 2007, the federal government signed the UN Convention on the Rights of Persons with Disabilities. Ratified in the House of Commons several years later in 2010, the convention recognizes the rights, dignity, and worth of those with disabilities, while providing a framework for a high-quality, equitable life. This is all great stuff—and yet, the government has not signed the “Optional Protocol,” as it’s been dubbed, which would allow Canadians to file complaints under the convention. Essentially, this move gives the government all the benefits of feel-good optics, without having to commit to actually improving the lives of those with disabilities. Sneaky, sneaky. Also problematic: In 2010, when the Conservatives cut the long-form census, they also nixed the Participation and Activity Limitation Survey, better known by its acronym, PALS—those who received the survey were the same people who, on their census form, said they had a disability. PALS was used to track the needs of Canadians with disabilities, and looked at everything from rates of poverty, violence and abuse, to quality of housing, education and employment, and participation in community and civic activities. From there, government, but also more importantly advocacy groups, could use the data to better determine needed supports. The government has since introduced the Canadian Survey on Disability, but acknowledges that its data sets can’t be compared to PALS because of different questions and, notably, a different definition of the actual term “disability”—stunting a body of research. The new survey also received fewer responses, which advocates feared. Perhaps that data could have been used to help the government figure out how to spend the near $40-million budget for the Opportunities Fund, a fund designed to help those prepare for, maintain or find employment. Unfortunately, in 2013-2014, the government failed to allocate one-quarter of its funding—undermining yet another promising initiative for those with disabilities.